This calligraphy print would be the perfect best friend gift to give framed to your best friend for Christmas or her birthday or, you could just purchase it for yourself! Also makes a perfect motivational quote to giev to someone who needs a lift! The simple, monochrome style of this design means it will suit all home deco and add a modern and stylish twist this Christmas - fits perfectly with the current Hygge trend! 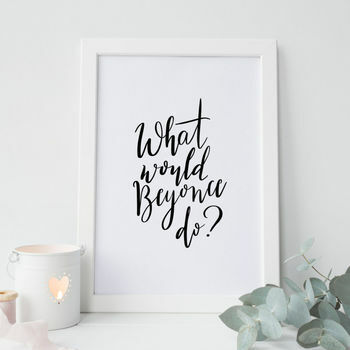 A beautiful, hand lettered and motivational print which features the motivational quote 'What would Beyonce do?'. This print was hand lettered using a modern calligraphy style by Emma, then enhanced digitally and turned in to a print. 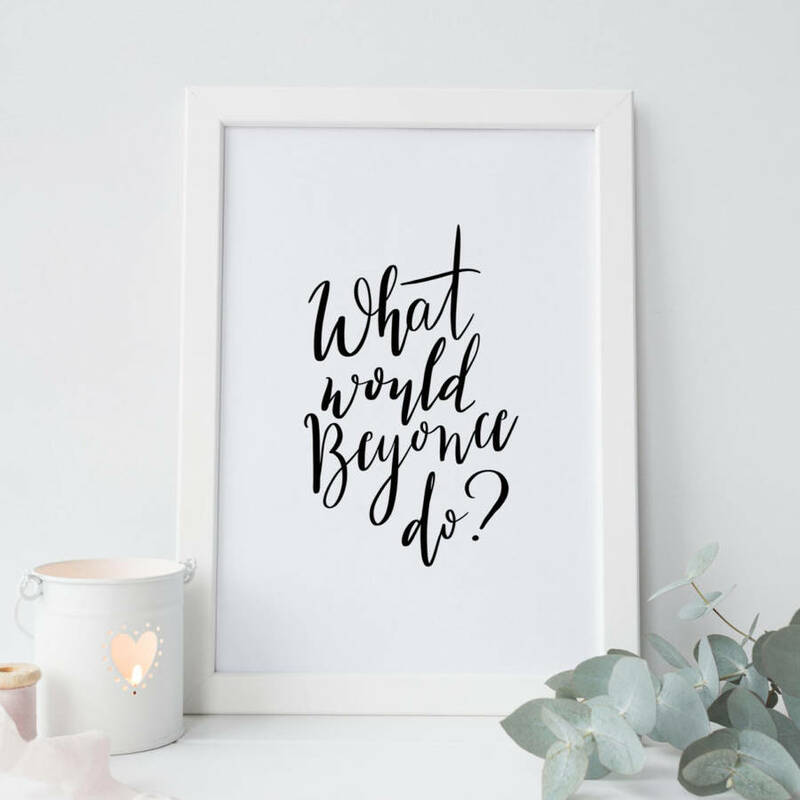 This calligraphy print would be the perfect gift to give framed to your best friend for Christmas or her birthday or, you could just purchase it for yourself! Also makes a perfect motivational quote to give to someone who needs a lift! This item is currently reduced from its original price of £15. As the product hasn’t previously been available on notonthehighstreet.com, the original price represents our RRP and product price elsewhere.